Actor Anupam Kher was in the city of Ranchi to promote his upcoming film, 'Ranchi Diaries'. On his trip to the capital city of Jharkhand, the actor added a page of memories to his personal diary -- on his visit to the city, he was hosted by former India captain, Mahendra Singh Dhoni. 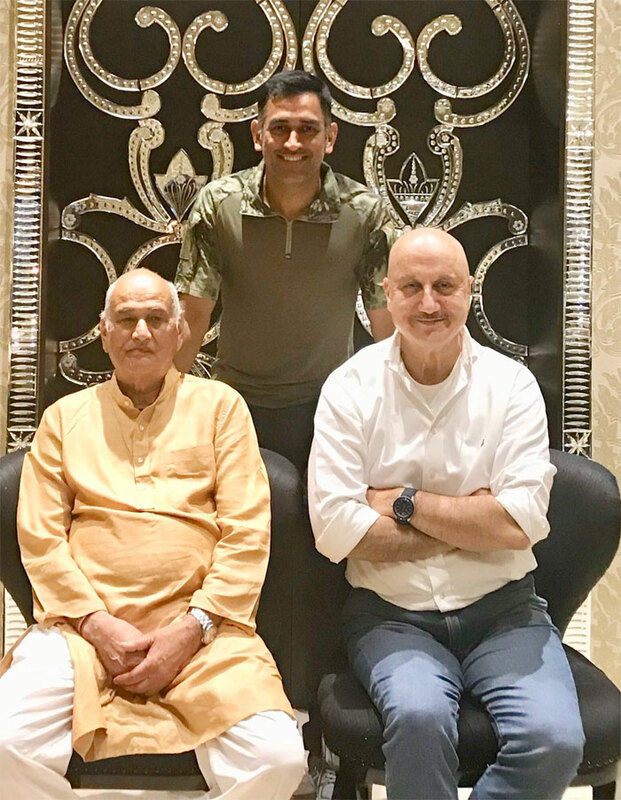 And, so touched by the his hosts' warmth was Kher that he put up pictures on his Twitter handle, thanking the Dhoni clan. "Dear #Sakshi & @msdhoni!! Thank you for your warmth & hospitality. Loved ur new home. Meeting parents is always a blessing. #RanchiDiaries", Kher posted on the miro blogging site. 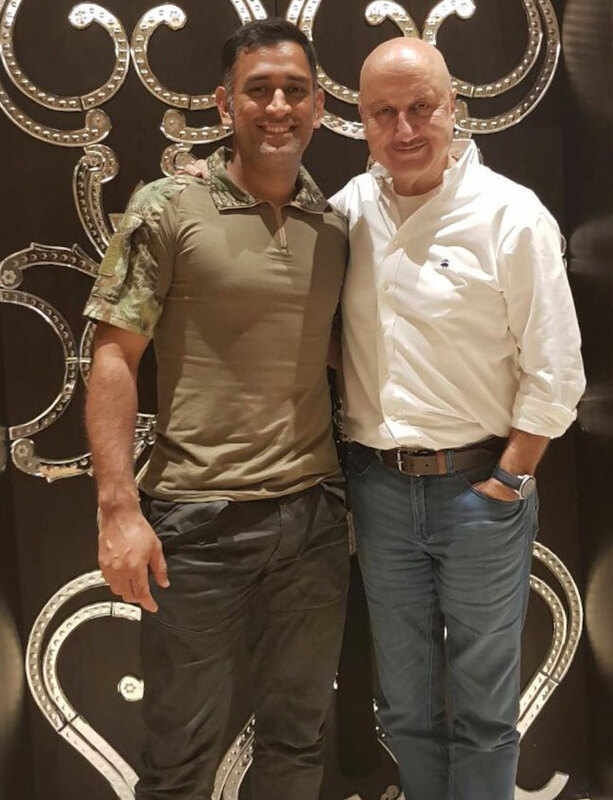 Kher also made a mention of Dhoni's talented daughter, Ziva, writing: "#Sakshi & @msdhoni’s daughter #Ziva is a genius & an entertainer. She can really sing loudly, including our #NationalAnthem. God bless her." According to IMDb, Kher's 'Ranchi Diaries' is about the struggles of an aspiring to make it big in the small city of Ranchi. The movie releases on October 13.